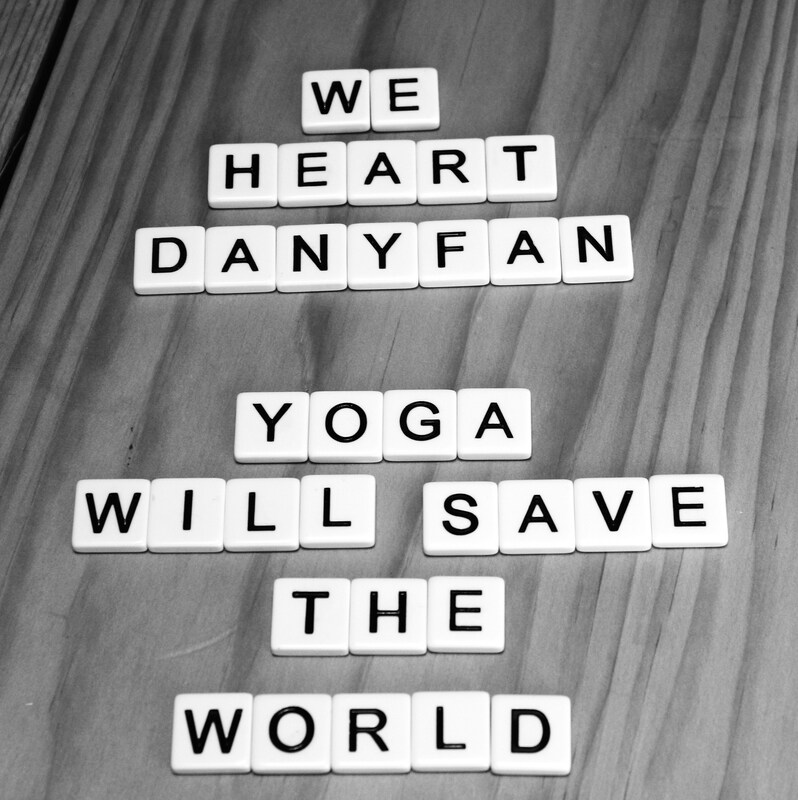 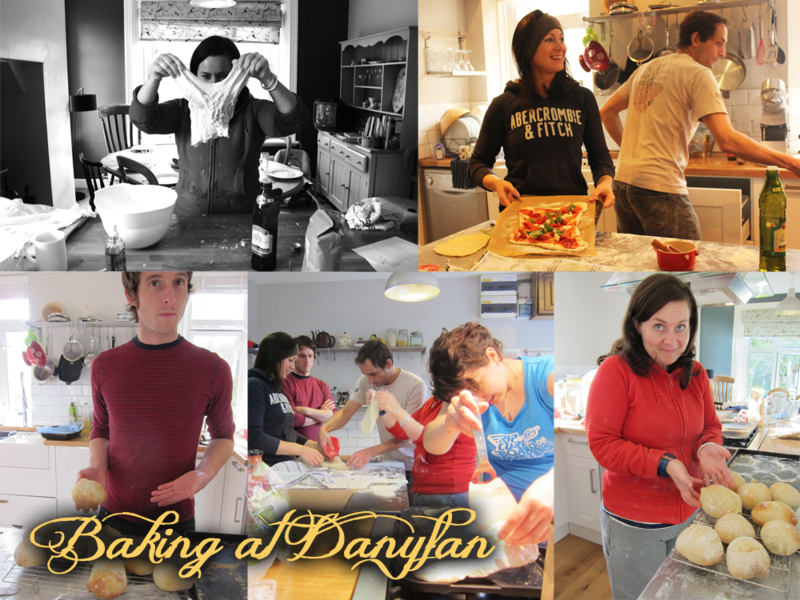 There are two spaces left on the Lovely Long Yoga Weekend in Danyfan this September. 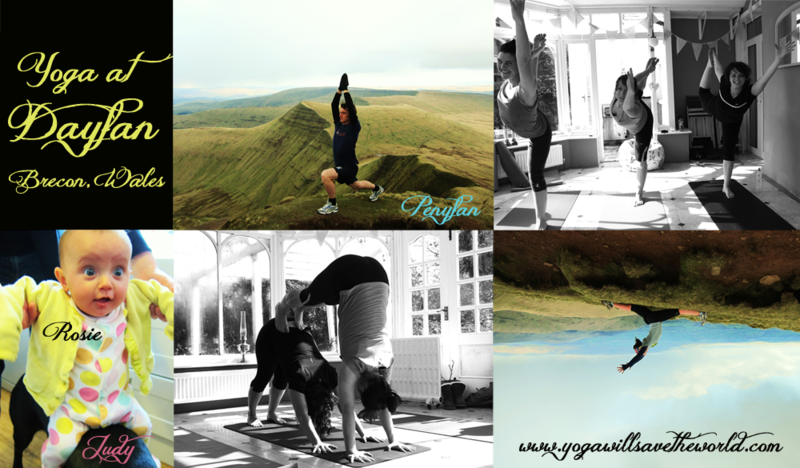 Thursday – Monday of yoga, Welsh nature and indulging in delicious foods and wines. 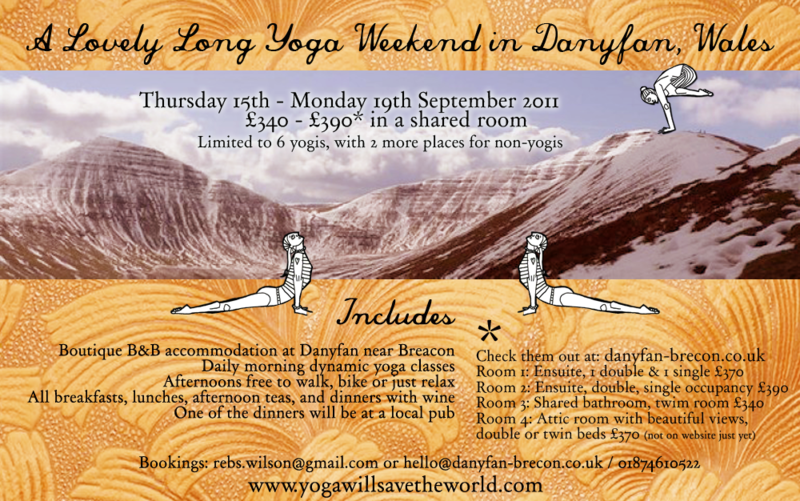 From 16th – 19th September I’ll be running a long weekend yoga retreat with Emma and Stephen who have just opened a gorgeous B&B near Brecon called Danyfan. 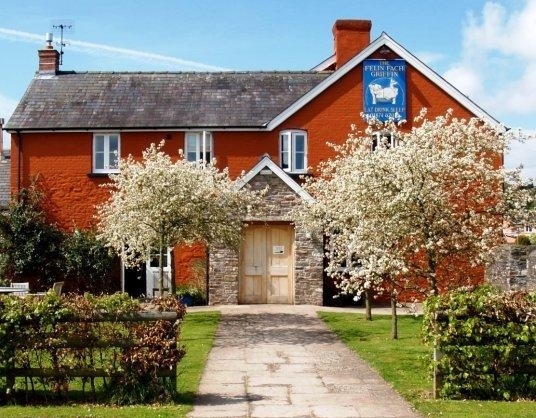 It’s 3 and a half hours drive from London. 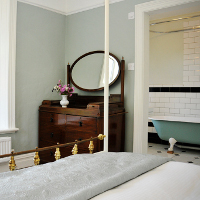 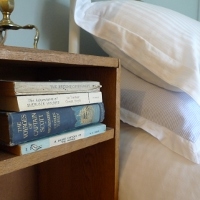 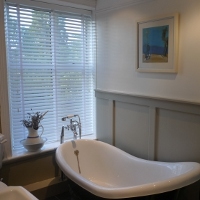 We’ll yoga daily, eat like Welsh Princes and Princesses and explore or relax in the afternoons. 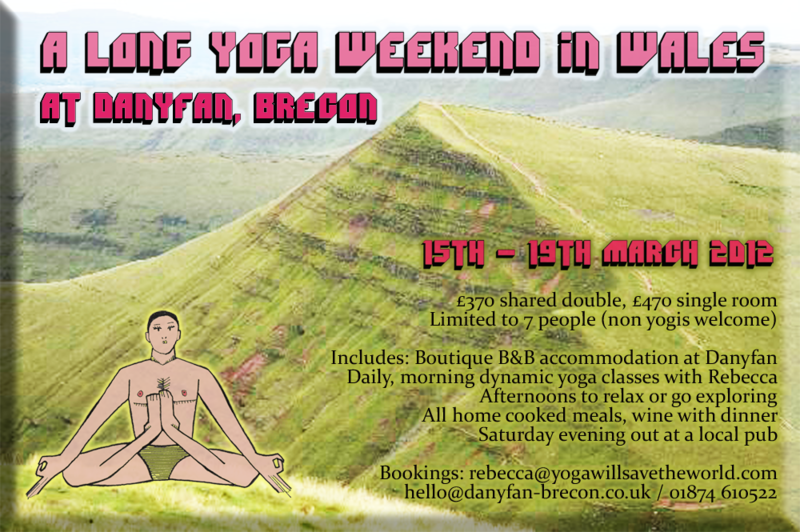 Space for only 6 yoga folk and 2 other non yogis happy to join for all the eating and Brecon exploring.